I immediately sensed the peace and presence of God as we turned into the stunning grounds of the beautiful Polish Baptist Retreat Center. 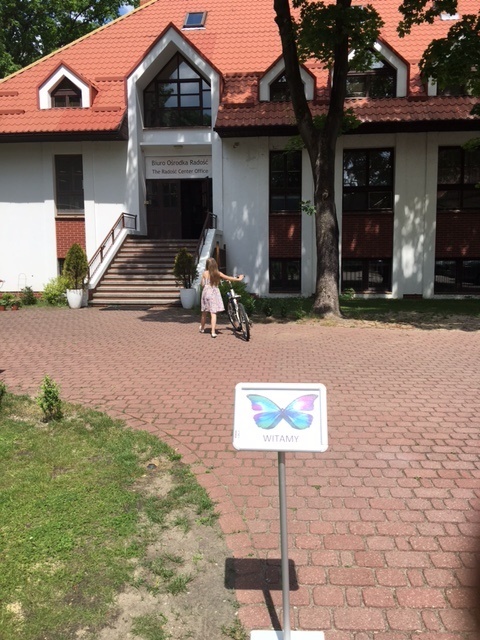 This is the venue where we are having our “Metamorphoziz,” as the Polish women call our Transform and Multiply Workshops.Butterfly “welcome” signs “Witamy” designed by Danusha, the pastors assistant, ushered our way into the center. I was already in tears, overwhelmed by the love and presence of God, but the Polish chocolate on my pillow attached to a butterfly note with 2 Corinthians 3:18 “transformed from glory to glory” (one of our core “Transformation” verses) deeply moved me. 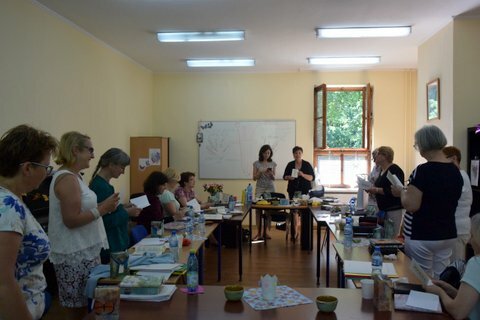 I am SO proud of Jagoda and her faithfulness in gathering women from different cities in Poland to equip and empower women in their churches and reach their communities. Spiritual transformation is spreading as women experience God’s freedom and hunger for more of Him. God’s love and His word is equipping them in truth, His Spirit is giving them boldness, empowering them to multiply. 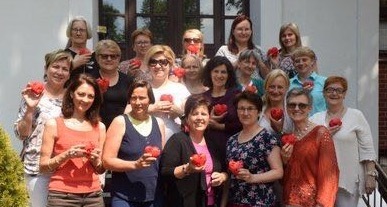 I am in love with the women of Poland. They have overwhelmed me with love and kindness. As we gathered with the group of 20 women coming for their fourth workshop last Friday night I was reminded how humbling it is to communicate through a translator, totally dependent on someone else to translate every word so that we can all understand each other. It was a reminder of our desperate dependency on the Holy Spirit to bring us into intimate relationship with Jesus, the need for humility to hear the Holy Spirit interpret God’s word, to intercede with words we don’t understand, to give us access to Him, to give us confidence and boldness to speak on God’s behalf allowing the Holy Spirit to lead and speak through us. Jagoda has been gifted and empowered not only to lead, gather and motivate women but has been an incredible translator for me during this time during every meeting and every conversation. I am deeply grateful for our partnership in the Lord. Last weekend, I opened Friday evening asking the 20 women, a group of pastors wives, ministry leaders, new believers, lay women catholic and protestant, “who are you and what are you doing here?” Their answers will be familiar to you – they are words I hear from women around the world, no matter our culture or country, when butterflies gather, God puts His same desire in our hearts…. I want people to find God through me. I want God to change me. I care about my salvation and that of others. I long for time to cling to God, to seek Him and His purpose for me. “God longs for intimacy with me. He longs for me and waits for me”. “How God loves us. The mission to transform others through God’s love”. “To please God not people. That I can know Him intimately through His word and time wiht Him. I need courage to do what He has called me to do”. “picture of the Hebrew wedding touched me, we need to prepare for Jesus return“. “I should check everything in God’s word for myself, like the Bareans. With warm love and grateful thanks!